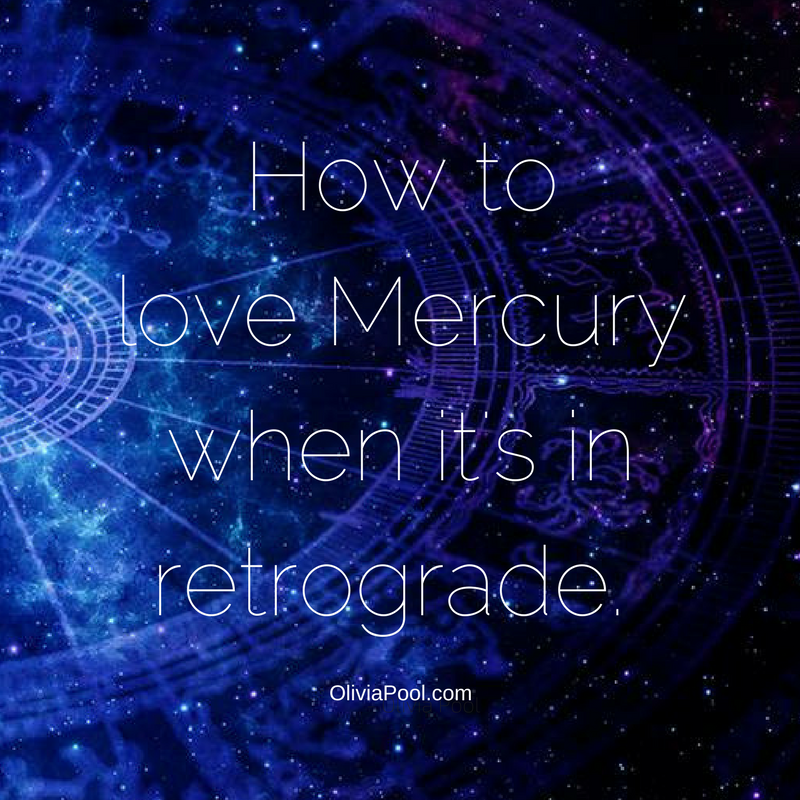 How to love Mercury when it's in retrograde. Just like Venus is the planet that represents romantic love and Mars the planet of physicality, Mercury is the planet of communication and travel. The planets and constellations are constantly in motion. It is a fact that we sleep when the sun goes down and we feel a heightened sensitivity to the cycles of the moon. Whatever your belief system is, it is undeniable that the movement of the planetary bodies such as the sun and moon do have an effect on us. Whether you believe in astrology or not, just entertain the thought that the other planets such as Venus, Mars, Mercury, Pluto, Jupiter, Saturn, etc. could also have a possible effect on us. When astrologers say that Mercury is in retrograde, the planet has the appearance of moving backwards. What's really happening is that it just isn't currently going FORWARD. Since this is the planet of communication and travel, it often feels like things are not moving in an easy, forward flow. In a society where we are used to everything going our way immediately, we tend to not like this. Any good astrologer will remind you not to sign any major contracts or make any big life changing decisions during this time because, well, there's not that smooth, forward flow I just mentioned. What you do want to do is align with the energy of Mercury retrograde instead of fighting it. Here are some ways that Mercury retrograde is actually incredibly positive. 1. Be careful and thoughtful in your communication with others. Because Mercury rules communication, speak kindly to everyone (including yourself). As the Four Agreements state, do your best to be impeccable with your words and don't take things personally. 2. Quietly communicate with yourself. This is the perfect time to quietly assess what is going on in your life. What is going well? What isn't going so well? Spend some quiet time reflecting and writing these things down. 3. Get clear on what is no longer in alignment for you. Mercury retrograde is a good time to deconstruct things that do not serve you. 4. Be grateful to what's NOT working. Yup. You read that correctly - I want you to be grateful for the things that have been challenging for you. They were here to teach you. EMBRACE their lessons. Say 'thank you' for the learning opportunities as you make the decision to bring those lessons to completion. 5. Save all good parts and re-use them in a new way. There are many beautiful things in your life. As you clear the clutter of things you want to remove, the wonderful ones should become more apparent. How can you make them even better? Maybe there's a new way that you can amplify those skills? Perhaps you can be even more loving towards someone who is a blessing in your life? 6. Align with the planetary energy instead of fighting it. Remember that this is a time that is best used for quiet reflection and assessment. It is NOT the time to make big decisions or commitment. For example, if you're planning a new project, spend some time brainstorming and getting your ideas down on paper and allow it all to simmer. As much as possible, don't take action until Mercury retrograde is over.